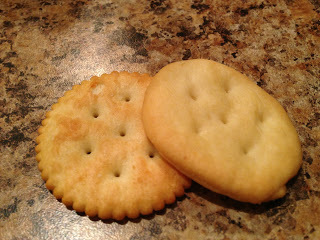 Who doesn’t enjoy a cracker? Ritz cracker to be specific. It’s the joy of the holidays when you’re waiting to gorge yourself for the main meal and there’s a spread of cheese and dips. 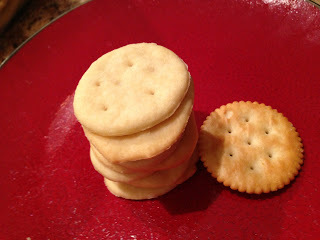 Pick up a cracker and dip your way to a tastebud fancy. Also, it’s a huge hit with kids. How many moms put a whole package of crackers in the diaper bag or leave them in the car for when your child says they’re hungry? Mine likes crackers, I admit. Remember that I’m this mission to get processed food completely out of the house. Crackers are something I just don’t usually buy. But sometimes I do because my Abby likes them. 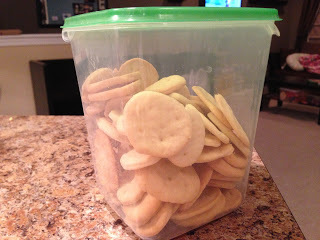 She has been hooked on them lately…and if you shop at Aldi a box is pretty cheap. So I decided to make them myself!! The fact is, we know processed food is terrible for our health, especially when it deals with empty calories like crackers. It’s a science. Processed food contains unhealthy fats, oils, and sugars that trigger stuff to happen in your brain! You want more of it and it takes a lot to get you full. Satisfaction rarely happens. If we take that out and create a similar taste but better ingredients then those things change and we become healthier people more able to control what goes in our mouths. The recipe is not my own. I found it while searching the other night. Boy oh boy they’re good. I’ll lay the recipe out and give you my comments of what I think I might change—not the recipe but part of the process, to make easier. 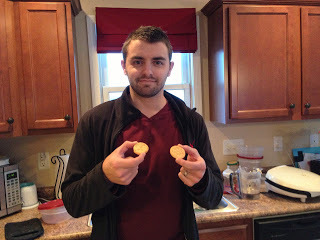 Reviews came back from my brother-in-law, Erik pictured above, that they tasted the same, plus my hubby and Abby loved them as well. 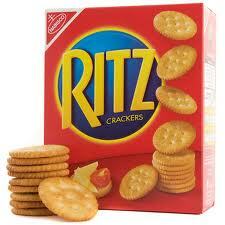 I really think they taste and have the same texture as a Ritz (well this is the off brand). I actually like the homemade better. 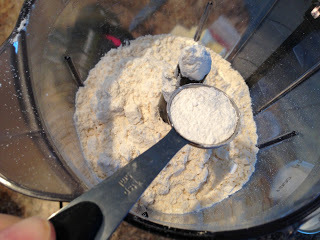 Put the flour, baking powder, sugar, and 1/2 tsp of salt in food processor. 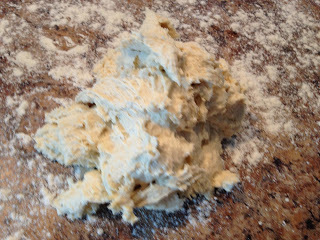 Add cold butter a few small chunks at a time, and pulse to combine. Add vegetable/olive oil. Pulse to combine. Add water a little bit at a time. Pulse to combine after each addition. 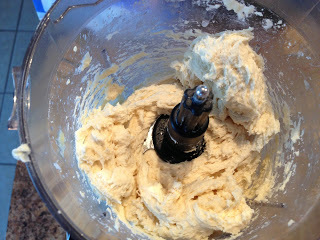 The dough should start to form a ball. Roll dough out as thin as you can. 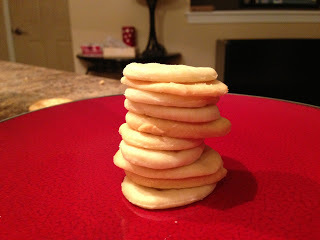 Mine ended up being all different thicknesses. Don’t sweat it. They are homemade! 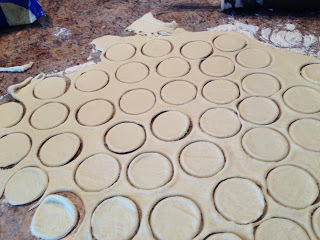 Use cookie cutters to cut the dough out. I used a small circle that actually used to be a glass votive candle holder! Just get creative with what you have in your house. Poke holes in them if you’d like. I used the end of my mixing beater and it worked fine. 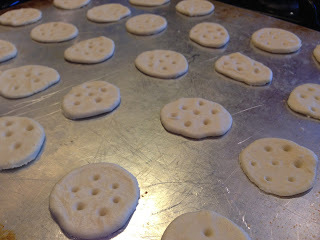 Put them on a cookie sheet….next time I’m going to roll the dough on wax paper or foil, cut the shape, and take away the excess dough without moving the cookie so it stays uniform and saves time! Cook for 10-12 minutes or just be aware of how they’re cooking cause everyone’s oven is a touch different. 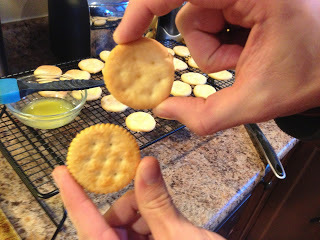 Pull them out when browning slightly and brush your butter/salt topping on each cracker. 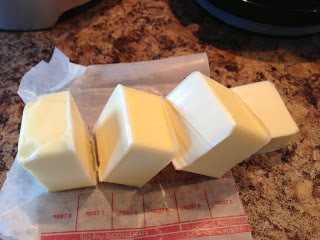 I’d use 1 tsp salt in the 3 tbsp butter next time. 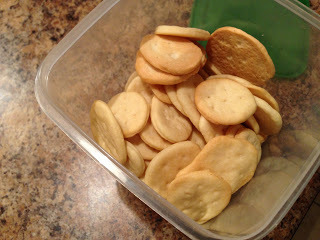 One batch makes pretty much a whole box of crackers so store them and enjoy! 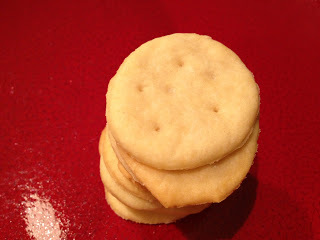 If you like peanut butter crackers then put some natural/organic or homemade PB in the middle of 2 crackers!